As Lauren says, your hair is often a great visual indicator to show the world what you are like. Is your hair long, short, unique, styled, or colored? There are a lot of options for how to style your hair, and we get excited about each new trend we see. But regardless of how you style your hair, the foundation of any haircare regimen revolves around one main tool: a great brush. Removing hair from your brush is simple, and it’s the best way to keep it clean and free of any dirt or dust that will gather. Our advice? Simple take the pointy end of a hair comb and run it between the bristles of your brush. It should loosen, and you should be able to “peel” the hair off the brush. Keep repeating the process if you don’t get it all the first time. Just as you wash your hair to remove product and oil buildup, it’s important to do the same for your brushes. Once hair is removed from the brush, use your favorite shampoo to gently wash the base and bristles of your brush. Remember: anything stuck on your brush can be transferred to your hair while brushing, so it’s important that it stays clean! 3. Air dry or blow dry. Drying your brush with a towel is damaging. To avoid that, either lay your brush flat to dry naturally, or use your blow dryer to effectively dry your brush more quickly. 4. Stay away from sprays and creams. 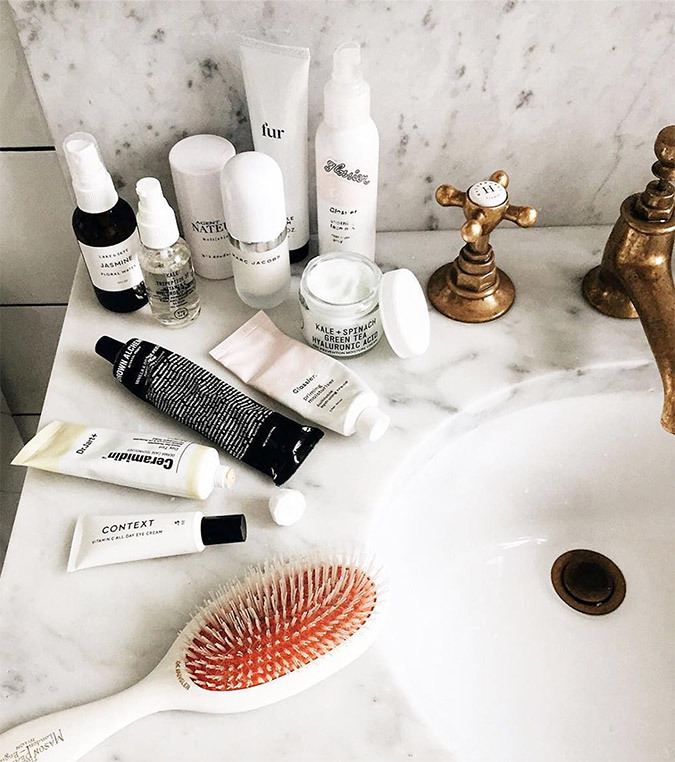 Although product will inevitably get in your brush through use, it’s important to stay away from applying sprays and creams directly onto the brush. It may seem like a good way to evenly distribute product, but it can cause damage to the brush itself. 5. Repeat every 1-2 weeks. A clean brush is the secret to beautiful hair, so be sure to take great care of yours often! How do you care for your hairbrushes and other hair tools? Share your tips with us in the comments.